The shiny Mahou factory, in Alovera. Mahou's factory in Alovera (Guadalajara), with a production capacity of 4 million litres of beer a day -and an annual production of 700 million litres- has an isolated space in which the Pilot Plant is located, where all kinds of new recipes, tests and small-batch beers are developed. 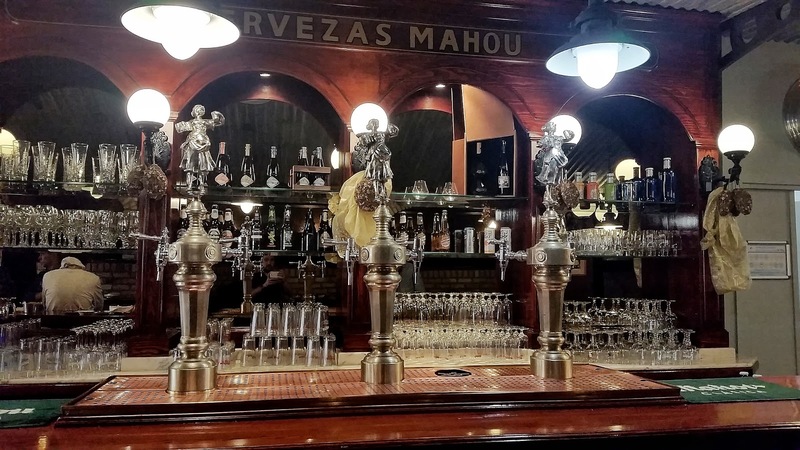 But apart from R&D and limited editions under the Mahou brand, these same brewing facilities also work as a production centre for Sami Claret and Javier Aldea as Nómada brewers, after MSM acquired a percentage of their company. Usual suspects, not a Carnival troupe. After a brief tour of the plant where Mahou's classic beers are produced, a select group of people from the scene* took an elevator and headed to the area where the Pilot Plant is. Once dressed for the occasion, we proceeded to make a long visit to these facilities with David Ribelles, supervisor of the Pilot Plant. He told us with all the elaboration process, controls carried out and machinery used in every step with a high level of detail, responding to each and every question. Not only he had nothing to hide, but he was also willing to share knowledge with other people from the sector. We were just told not to take pictures of the plant. Since I am a trustworthy person, I naturally complied with it. I could anticipate it, but anyway I was truly impressed with the heap of different elements and controls that I had never seen before in any brewery -how much you can learn when one of the big guys agrees to share with others-. Except for the handling of the malt before grinding, the entire initial process, prior to the fermentation stage, is carried out automatically from a control room. Once this first phase is done, only the temperatures of the fermentation tanks are controlled from this room. Still, daily samples are taken from the beers in fermentation for analysis in the laboratory. One of the points in the process that drew the attention of the group was the hop dispenser for boiling, as well as the fact that for Nómada beers it is not used, since their use of hops is much more intensive than what is allowed by the capacity of the device. A curious fact considering that the Pilot Plant was assembled bearing in mind the brewing of Founders in Spain. The solution, however, is simple: the boiling stops when necessary for pellet hops to be poured directly into the tank. A bar within the premises. Here I've had my best Mahou Clásica. Apart from a good collection of fermentation tanks with different capacities, all of them with a top lid to enable the option to dry hop the beer, we could see a dealcoholising plant with a capacity of 15 to 20 Hl per hour. Nevertheless, it has remarkably fallen in disuse, lately. Also interesting were the four options available for the packaging: bottles, 800-900 per hour, applying up to 4 washes; steel barrel, 25 per hour, with a washing station; non returnable kegs, 20 to 25 per hour, for Nómada beers; and 'Line 13', with a capacity of 8,000 bottles per hour. Not bad. Today, the Pilot Plant has been operating for almost 2 years, with 13 people in total working in it. 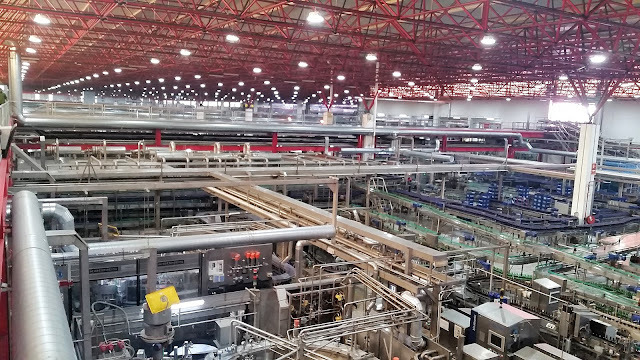 The production capacity is 40,000 Hl per year -20Hl per batch, with the capacity to make up to 10 standard cooking cycles a day once they are operating at full capacity-, dedicating 70% of the efforts to limited edition products, and 30% to R&D. Among the products that end up coming to market one cand find the beer series of Casimiro Mahou, Mahou Barrica and Nómada's. The Founders project is, for the time being, on hold -something that, as far as I can imagine, could have precipitated the partial acquisition of Nómada a year and a half ago-. For Sami, who travels weekly to Alovera from Sabadell in this new stage of his work with Nómada, this is a big step forward. No doubt left when one samples the result of these first months of work: some beers that clearly improve what the brand had offered previously, both in its finishing touch and its consistency. And without losing the spirit of innovating and exploring the limits of each style which made many people support the gypsy brewery. By the bar. One can easily deduce that this is not the Pilot Plant. To brew them, Nomad benefits from the fact of being able to manage the purchases of ingredients through Mahou-San Miguel. In general, to approved suppliers, although they may request specific ingredients outside of those. Privileged costs and availability. 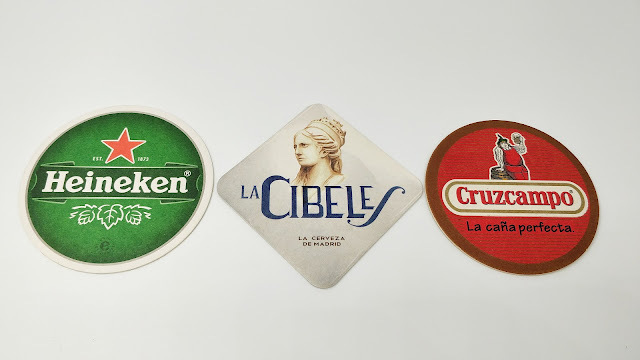 An additional benefit is the commercial management through Cervecera Independiente -part of the New Businesses unit of Grupo MSM-, which provides a good channelling of the products and a physical distribution through a specialised logistics operator that keeps the cold chain -at 2°C- until delivery to the customer's door. As for product, the idea of ​​the team is to maintain a regular series all year with 8 references, although Sami admits that 'we have always liked to do a bit of everything' and they are willing to play with up to 15 rotating references working on three axes: hops, dark & boozy and sour. As of today, some lots are also aging in oak barrels, as part of their Barrel Aged project. When asked about whether there is any agreement for an exclusive use of the facilities of Mahou Sami pointed out that, in this sense, they have no limits. 'We are nomads, and we will remain so. We are open to brewing beers wherever they want us. Ours is a collaborative project, nothing has changed in our philosophy since we began to elaborate 6 years ago in Ca l'Arenys'. After the visit, however, I find it difficult to think of them not using the facilities of the Pilot Plant, unless it is for a collaboration. The first four Nómada beers on this new phase. 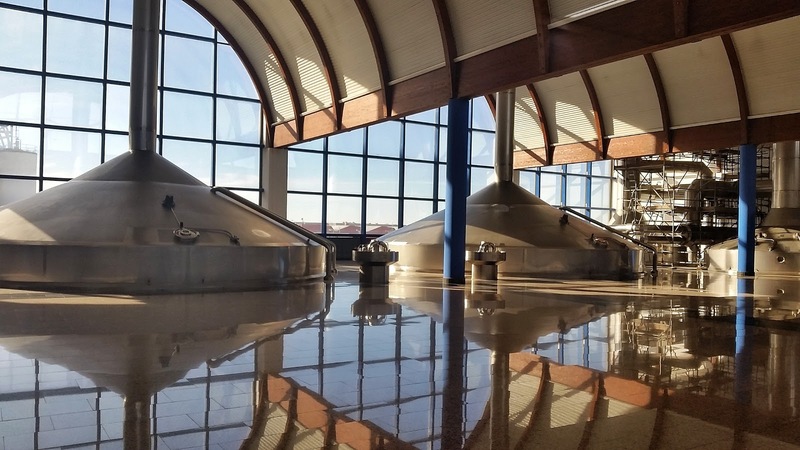 Precisely on collaborations, and in particular on the fact of elaborating in the Pilot Plant with other brewers, he affirms that 'we almost have the house ready to receive visitors. We are open to experimenting and supporting emerging projects. We would like to teach how beer is made in laboratory conditions; the results are excellent'. Sami was determined to show what he was doing, and under what conditions. His face, usually hieratic, revealed tremendous exitement from the first moment he told me about what Nómada was doing in Alovera. After the visit, I understood the reason for that enthusiasm. Plus I also understood that, although it will be hard to 'kick' them from the fantastic facilities to which they have been granted access, Nómada are still nomadic. Even if they have found a good shelter. I could not fail to ask the million dollar question to Sami, and in fact I did it in an open forum. 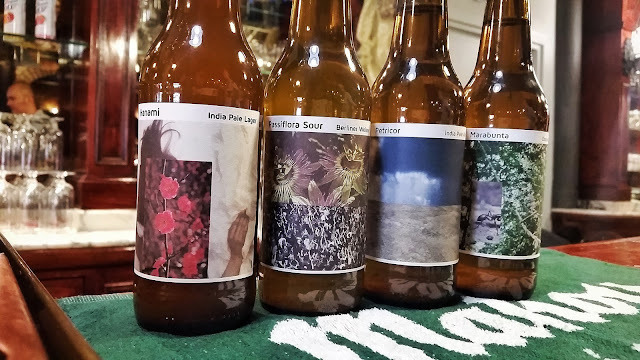 Specifically in the Round Table I moderated in the last edition of the Barcelona Beer Festival: 'Kjetil Jikiun decided to abandon his beer project in Nøgne right when accountants began influencing in the recipes. What would you do if your recipes did not depend 100% of your creative process?'. The answer was blunt and, at least to me, satisfactory: 'the same thing that Kjetil did'. As of now, I have no doubt that their commitment and work are helping to improve the sector, finishing their products with a quality that benefits the image of alternative beer. And, naturally, the consumer who looks for quality and emotions in his glass. * Note: a group of people among which there also was Carlos Rodríguez, from Ales Agullons. In this sense, it might be appropriate to reread the conclusion of this post. Transparency disclaimer: Nomad Brewing Co. provided free transportation to and from Alovera and a guided tour of the facilities of the Pilot Plant, as well as lunch.